Submitted by lynn on Thursday, October 1, 2015 - 4:00pm. We like a drink when we go out. 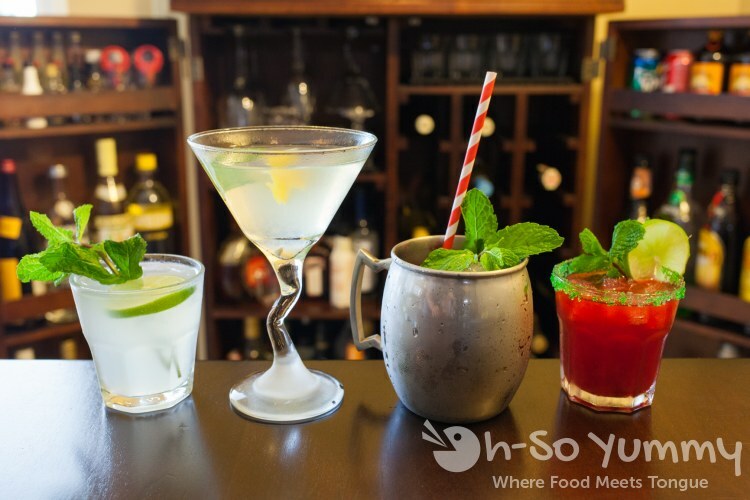 Our drinks of choice are made with spirits. I love the girlie drinks (Taste N Tinis is one of my fav events) while Dennis loves the whiskey and tequila drinks... though I often take a sip or more. To each their own. Such a pretty package for a book review made me giddy with excitement! Look at those red striped straws on the side! 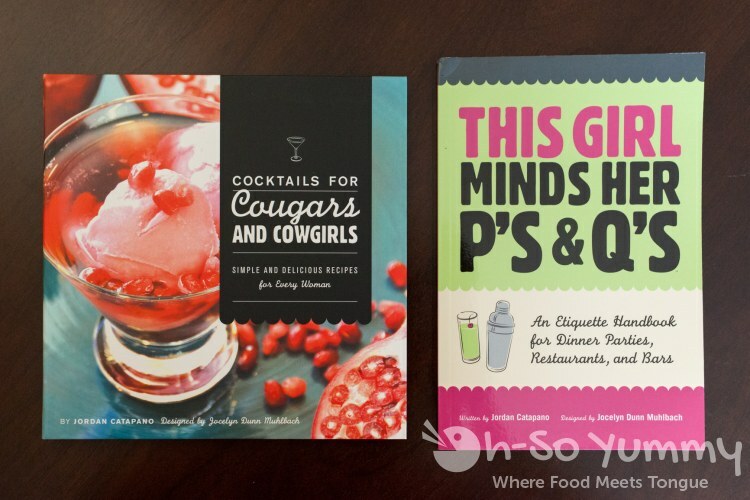 Our new books included Cocktails for Cougars and Cowgirls and This Girl Minds Her P's & Q's. We're mostly covering the cocktails book but I'm going to be reading the other on my own! These were written by born and raised San Diegans Jocelyn Dunn Muhlbach and Jordan Catapano, sisters running the website This Girl Walks Into A Bar. Between the two of them, they have the bartender and mixologist plus vision to provide fans tantalizing cocktail as well as offer perspective on the drinking world and everything else. For the free spirited. Young at heart. Beautiful where it counts. Adventurous. Caring. Any kind of woman that you happen to be. Do you perhaps have something like this? No pictures and a little hard to read, depending on your handwriting of course! Instead you can have this! Beautiful photos, simple ingredients, step by step instructions, and categories. Many of the background props and decorations give your crafty brain back into high gear. Most of these use ingredients you can easily acquire at your local grocery store. 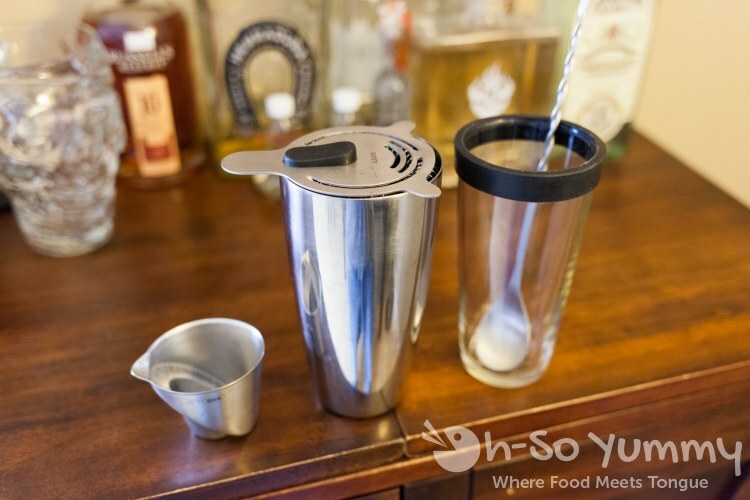 You'll also need a few bar tools like a jigger, mixer, strainer, and something to muddle with. Or just make do with something else. 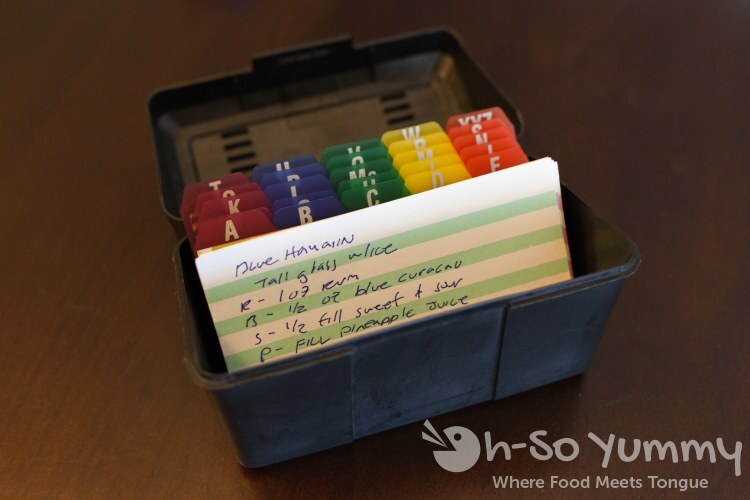 There's nothing wrong with getting a little creative in the kitchen! 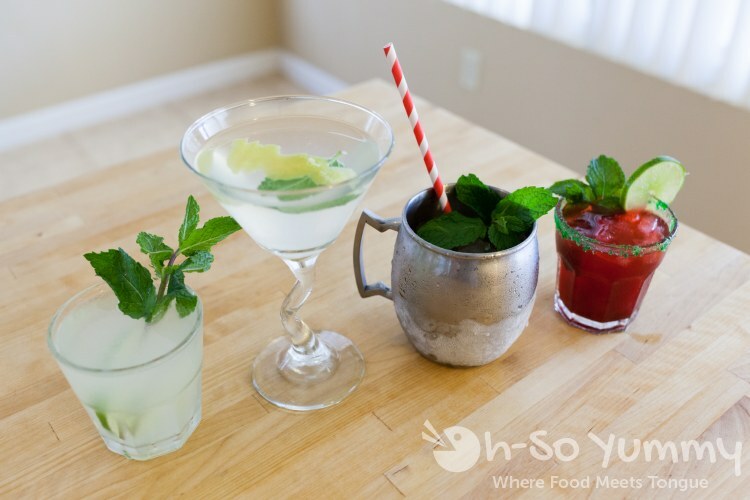 We quickly and easily made some professional looking drinks. Obviously we had to try a few recipes for ourselves! The Black Ruby is basically a margarita with blackberry and mint. This was the favorite out of the few drinks made for this review. 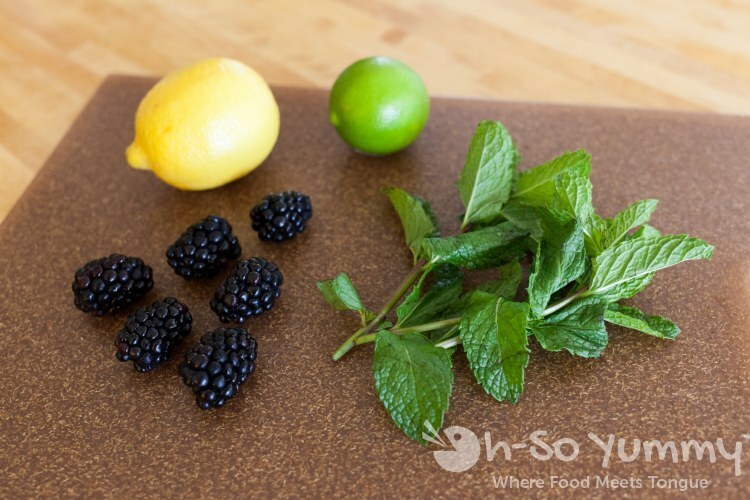 We used Forteleza Tequila, Cointreau, sweet and sour, and fresh blackberries and mint. The sugared rim is from Cocktail Candy, in The Big Apple flavor, which we picked up from Latin Food Fest. This is the Gin Mojito. Dennis loves mojitos while I would rather avoid the mint. In general he's not a fan of gin but this is one of the few exceptions. 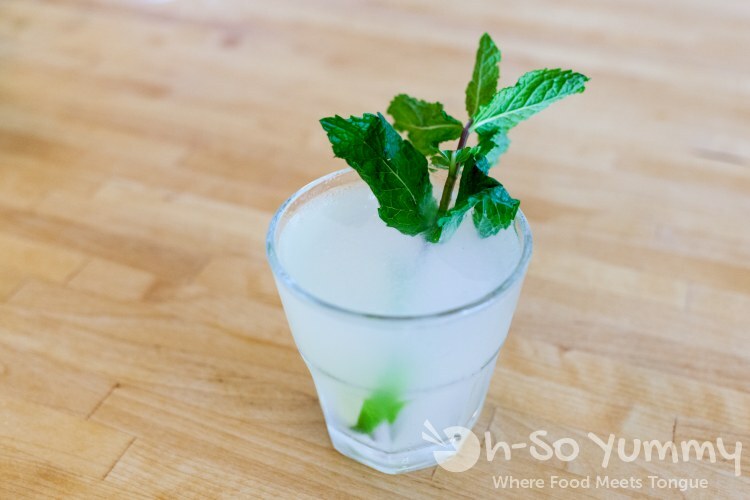 It tasted light and refreshing and was made with Gin, Lime Juice, Mint Simple Syrup, and Club Soda. 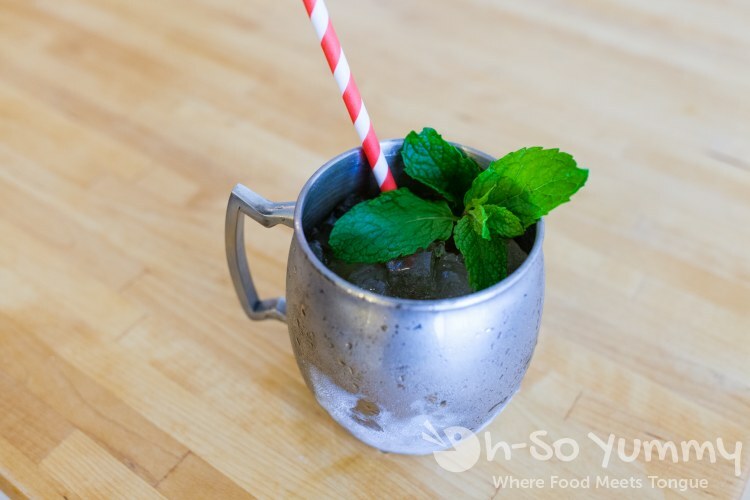 And... the aluminum mug comes out to play for This Girl's Mint Julep! With only bourbon and mint simple syrup, this is probably the simpliest recipe you'll find in the book... but with good reason. You don't want to overpower and ruin a good bourbon by mixing with too many ingredients. It's time for a Tea Party. We modified the recipe to save a little time. Instead of infusing our own vodka with tea, the shortcut was to sub Absolute Tea Vodka. 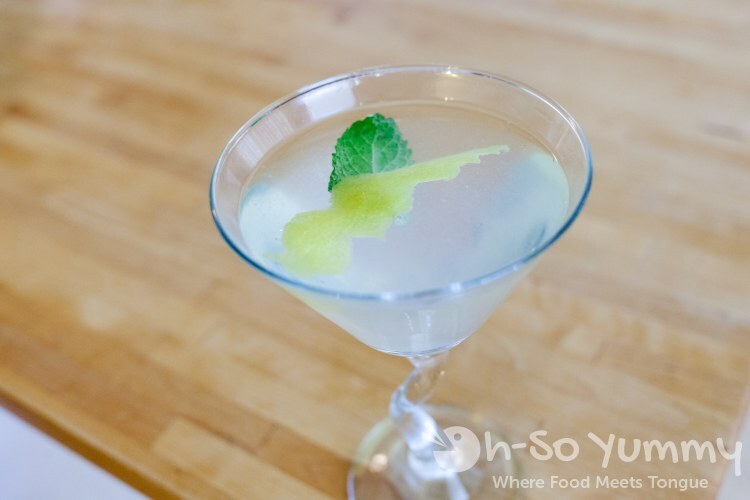 The rest of the ingredients were orange clove simple syrup, mint simple syrup, lemon juice, and club soda. Cocktails for Cougars and Cowgirls JUST became available online Oct. 1st. Plus, for any locals, there's two special book signings this Saturday, Oct. 3, the first between 11-1 at Pottery Bar (Mission Valley), and the second between 4-6 at BevMo (Mission Valley). You can meet both lovely sisters there and get complimentary wrapping and other things. 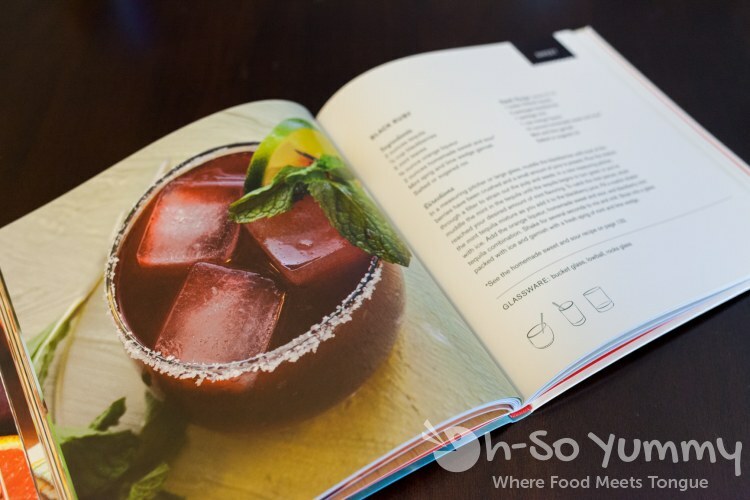 YOU could be paging through this gorgeous book, looking for recipes to try out for yourself! 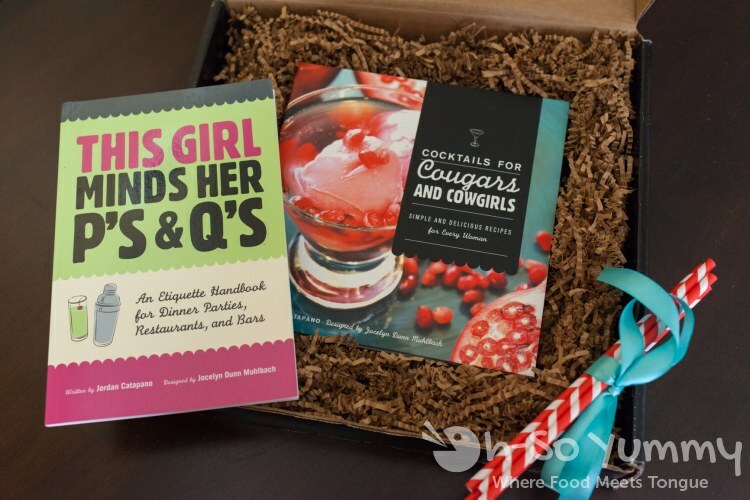 We're giving away a copy of Cocktails for Cougars & Cowgirls to one lucky reader. Enter below and good luck to all! Winner will be randomly selected and contacted through email so make sure it's valid! Winner must respond within 48 hours or we'll draw another winner. Giveaway open to US residents 18+ and ends Wednesday October 7, 2014 at 11:59 PST. Good luck! Disclaimer: We were provided two books for review and another for a giveaway. All opinions remain our own. This book looks great! I am looking for some gin recipes...for some reason, I fear it. Beautiful post! I love all the drinks! I will be entering! 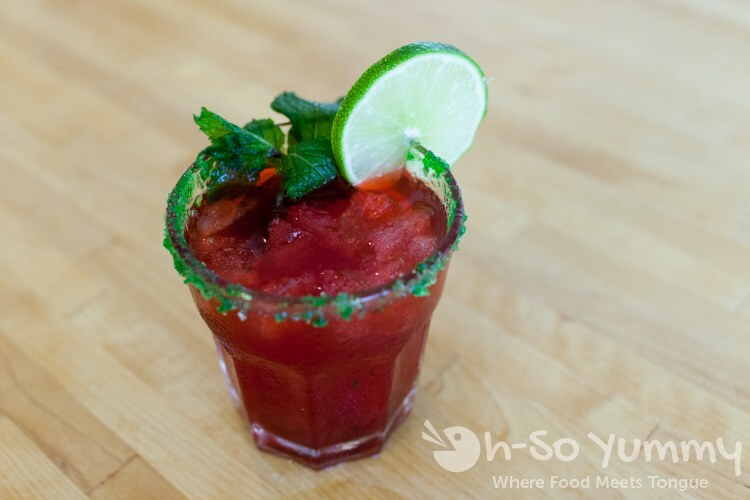 The blackberry margarita looks divine! Love this! It was so great finally meeting you and your main squeeze! We'll have to celebrate with cocktails again soon!